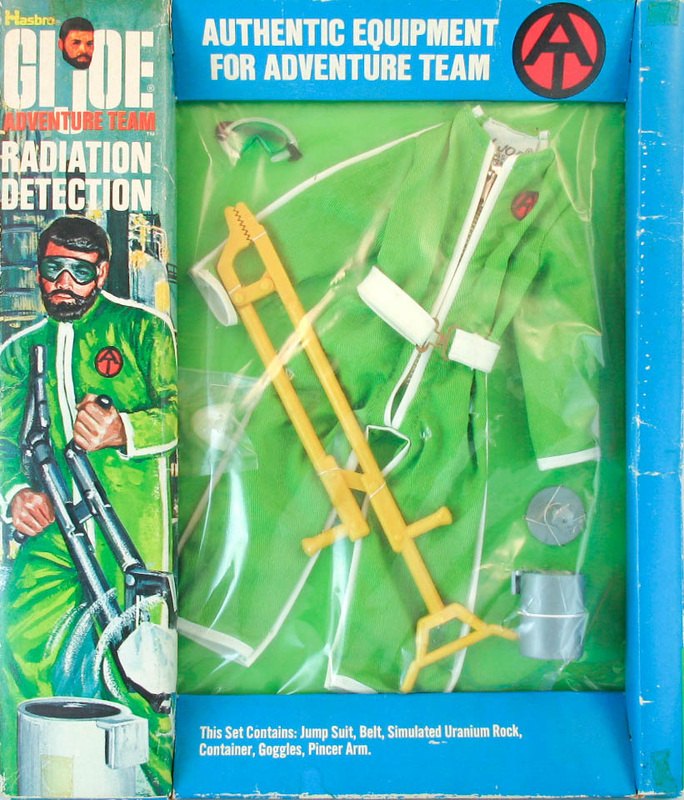 The bold colors and glow-in-the-dark uranium, trim, goggles and belt of Radiation Detection (7341) are great fun, Thank goodness Hasbro let buyers know the uranium was simulated on the box text. If only they had given Joe gloves and a hood! The later issue goggles shown on the set in the spin above did away with the glowing trim paint. Below, the tough to find 1975 orange frame box release. Note the change to goggle with an unpainted rim Image courtesy of L and L Collectables. Be sure to check out their sales of GI Joe and other great toys here!